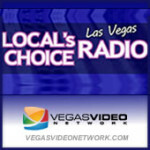 Welcome to the premiere edition of the VEGAS VIDEO NETWORK‘s Local’s Choice Radio. When it came time to decide on a business Internet solution for the network, we knew we had a difficult environment to support (live streaming video, video-on-demand, worldwide audience, etc.). I was fortunate to find 1Velocity, a fascinating business Internet and metro Ethernet provider here in Las Vegas which delivers Internet access wirelessly. Today’s episode also includes Scott’s interview with 1Velocity President Mike Ballard.